Need more Attack on Titan in your life? Some of our favorite comics creators, including Gail Simone, Scott Snyder, Brenden Fletcher, Kevin Wada, and Faith Erin Hicks, are giving us more human-munching giants in an upcoming comics anthology. CBR has exclusive art from the anthology, so head over there to check it out. 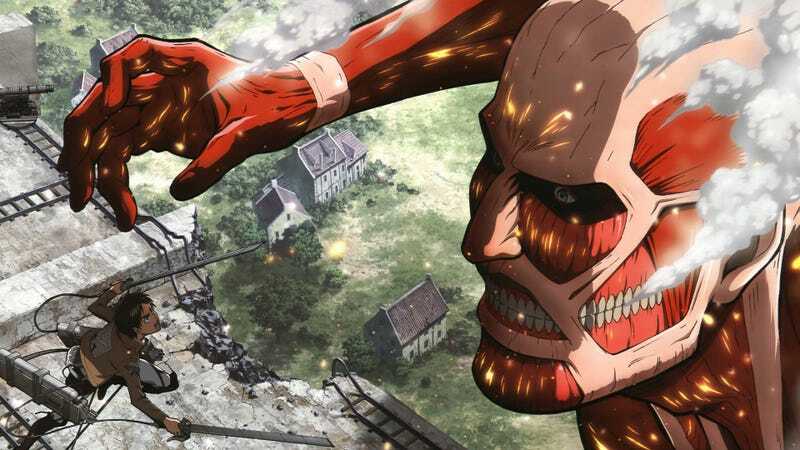 If you’re not familiar with Attack on Titan, the series is set in a world where the last remnants of humanity live in constant fear of Titans, seemingly mindless giants who chow down on humans. Humanity has walled itself off from the rest of the world in a massive city, but a handful of elite young soldiers are determined to wipe out the Titan threat.